There is something about Aussie girls: they just always seem to look their best without even trying. We’ve explored a little and asked them how they managed to get this naturally fresh look. Here is the top 5 list of their beauty secrets we’ve discovered. Who would have thought that yarrow, originally used by Aboriginal women for medicinal, healing and cosmetic purposes would still be used today? 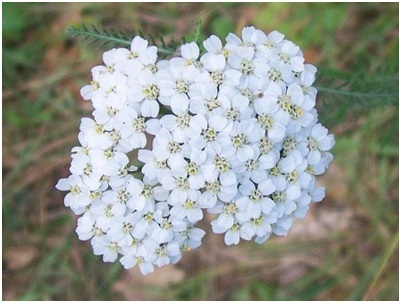 Yarrow is a herb that can be found growing almost anywhere. With its amazing properties it is used for pretty much everything from a common cold to intestinal problems. It makes a great skin wash for oily skin types and soothes chapping and irritated skin. All you need to do it pour 2 cups of boiling water over 1 cup of dried and crumbled Yarrow flowers, let it cool and then use cotton pads to pat on your skin. Go-to Exceptionoil is an all in one oil that nourishes your skin, cuticles, heels, nails and hair. It contains 100% natural oils and butters including Coconut, Avocado, Rosehip, Calendula, Evening Primrose and Sweet Almond Oils, and Cocoa, Jojoba, Mango and Shea Butters, to name just a few. It also contains plant seed extracts rich in antioxidants, but it does not contain any petrochemicals or artificial ingredients. It is completely eco-friendly and most importantly, it smells better than anything. You can use it in all seasons and it really rejuvenates dry, thirsty skin. Jurlique is Austalia’s skin care pioneer. They started the whole trend of biodynamic farming before there was even any talk of green living. This very special gel protects skin against environmental aggressors, increases hydration and restores natural radiance and elasticity. Since it contains natural ingredients like extracts of various fruits, fruit leaves and flowers, Safflower seed, Evening Primrose and Rosa Canina Fruit oils, it reduces fine lines, minimizes the effects of ageing and gives a youthful look to your skin. This one is tried-and-true. You would think Australian heat would leave Aussie girls’ faces dry and burned, but not with this face and neck moisturizer. The fact that it can be found in the spas of the Four Seasons Hotels worldwide speaks volumes about its quality. This moisturizer is super nourishing and relieves the dry feeling instantly, but is never too heavy or greasy. Menthol, Sage and Cucumber extracts calm your skin while Sambucus, Ivy and Lemon extracts remove excess oils as natural astringents. 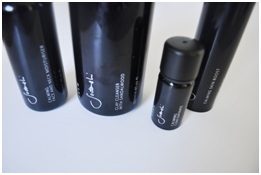 Skin texture is refined and the skin soothed and protected. Meloplasty is a new, advanced mini face lift and it is also known as MACS Lift (Minimal Access Cranial Suspension Lift). This new kind of face lift surgery is getting increasingly popular since it is less invasive than other techniques, it leaves a smaller scar and recovery time is shorter. It improves lower face, upper cheek area and even the neck area. In addition to these beauty secrets, we are sure Aussies are good at getting the right balance between getting enough sun and protecting their skin from overexposure to UV rays. With preventative measures taken and our tips applied, it seems that staying young forever is possible after all.